"The Death of Superman" epic grabbed headlines in 1993, and the story remains one of DC's most memorable. 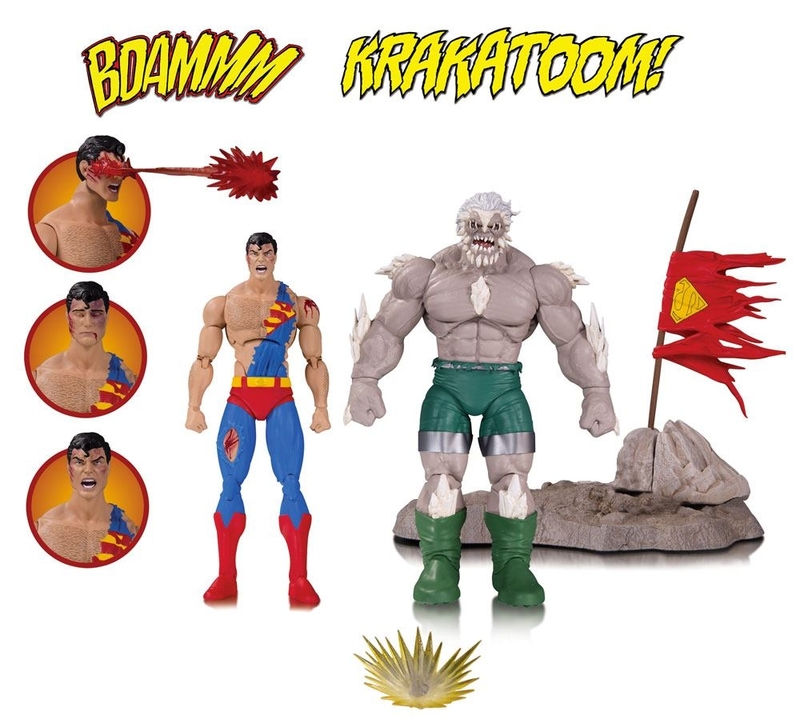 Now, DC Collectibles commemorates it with a new action figure 2-pack that includes two interchangeable Superman heads, snap-on heat vision and punch blast effect, two displayable sound effects captions plus a battle base with a tattered-cape flag! 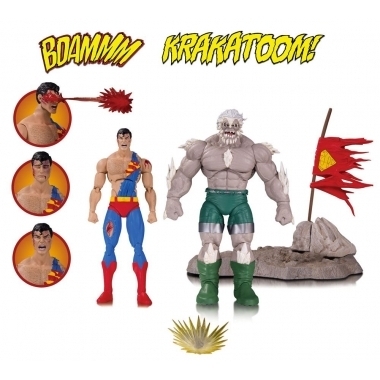 Superman stands 15 cm, Doomsday 18 cm tall.